Ever whatched the Scandi drama the bridge? 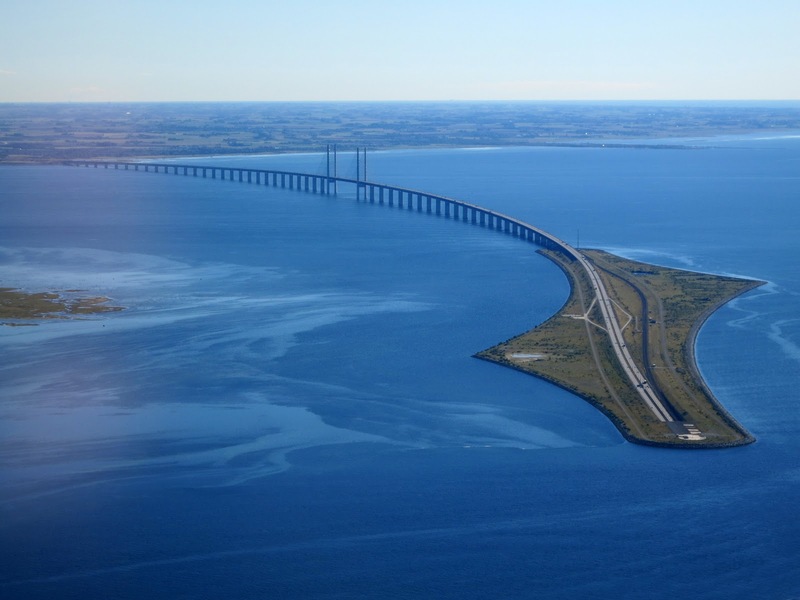 Its namesake and beginning scene is the 8km long Bridge from Mamo Sweden to Near Copenhagen Denmark. I loved this series and have been wanting to see and cross this engineering marvel for a while. So bugger it, we did. Broen (The Bridge) was completed in Aug 1999. The project consisted on constructing and Island a tunnel and the bridge containing a cable-stayed main span of 490m, which is the longest cable-stayed span in the world carrying both road and rail traffic. It costs 48euro ($71AUD) for a car and 26euro ($38 AUD) for a motorcycle. So whilst it was fun its not the cheapest thrill one can have. I understand that if you commute for work you can apply for a %75 discount. Wow, nearly 5000 km and lots of rain. Looks like a fabulous trip though. Glad to see you're home safe and sound. We're caravanning in Queensland at the moment and having a great time. Arrived in Noosa today and staying here a week.